You know the extreme damage a fire can do. Early detection and verification are key to limiting loss due to fire, and both are Sonitrol Pacific specialties. 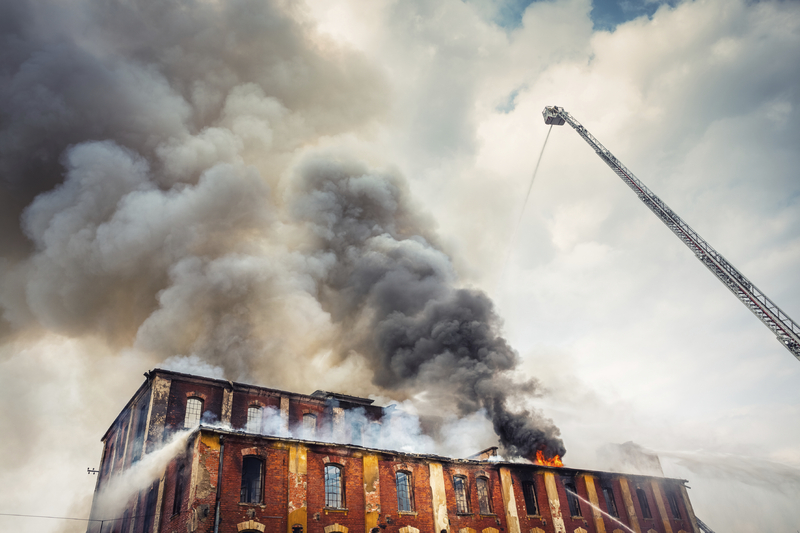 The Occupational Health and Safety Administration estimates fires cost businesses and schools more than 2.3 billion in property damage annually. You’ll rest easy when our experts monitor your facility for fire. We monitor smoke and heat detectors, sprinkler systems and pull stations, and quickly dispatch emergency personnel to your facility. Sonitrol Pacific’s fire and temperature detection systems work easily with our suite of services, including Audio Intrusion, Access Control, and SonaVision™. Hear Sonitrol Pacific systems in action. Our experienced team can design, install, service and monitor the best system to meet your facility’s needs. Our fire panels meet UL, CFSM, NFPS and ADA requirements. We deliver controlled access easily integrated with our other services. Sonitrol Pacific’s access control services allow you to activate or deactivate your building’s security system with a single programmed key card. No more complicated key codes and procedures, access control technology streamlines your security procedures. Specific areas may be accessed through individual key cards allowing you to track and control activity in and out of sensitive zones of your facility.